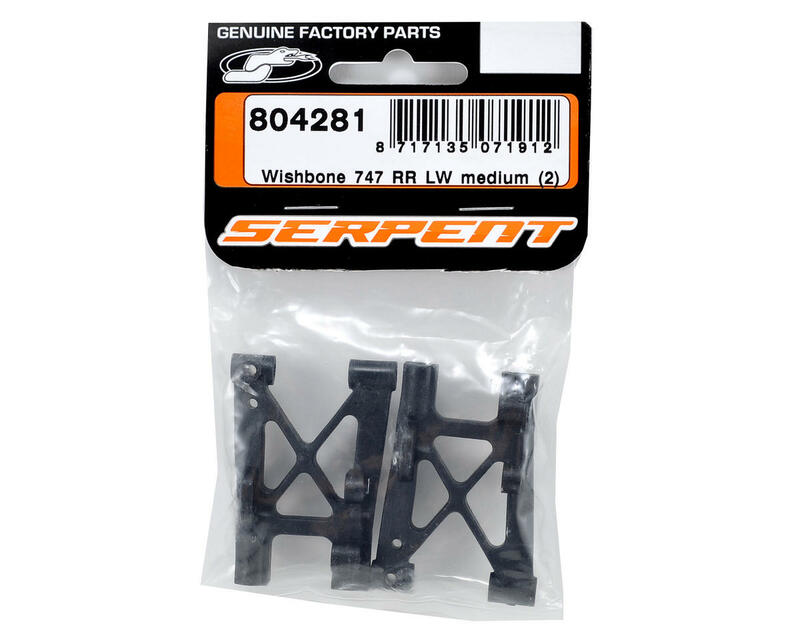 This is a replacement Serpent Rear Lower Wishbone Set, and is intended for use with the Serpent 747 1/10 nitro sedan. This can also be used with the Serpent 733 EVO and 733 TE sedans as an optional accessory. 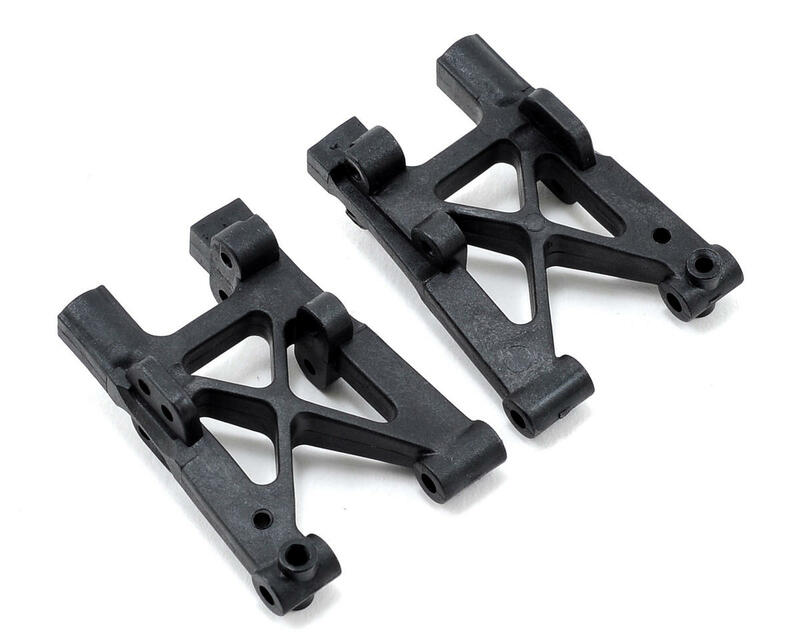 These parts are molded from medium density nylon, making them stiffer than the stock parts, but not as rigid as the hard compound, providing you with an "in-between" tuning option when the hard compound is too stiff.